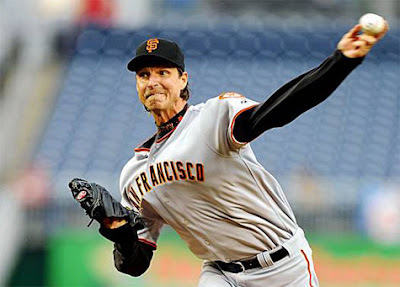 45 year old pro baseball pitcher Randy "The Big Unit" Johnson, currently playing for the San Francisco Giants, became the 24th player in baseball history to win 300 games in this afternoon's game in Washington DC against the Nationals. Darn, he looks old in the face for being only 45 years old. Guess I'll never know...even if you told me it was true.